Schultes' Amazon Turns Science into Art Richard Evans Schultes visited uncharted lands in search of science and came back with art. His photographs, now on display at the Smithsonian, offer hypnotic insights into the birth of ethnobotany. 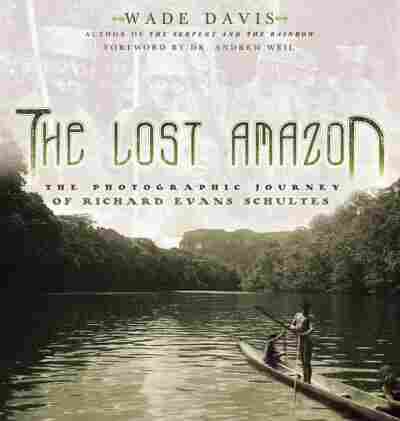 Richard Evans Schultes mapped uncharted rivers and collected some 25,000 botanical specimens while in the Amazon. Schultes photos evoke a lost era. 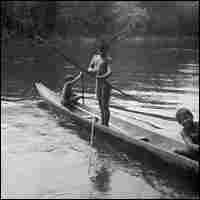 Here, Makuna youth fish in the Rio Popeyaca in 1952. 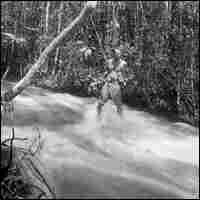 In the early 1940s, Harvard botanist Richard Evans Schultes went exploring in the Colombian Amazon. He returned not only with scientific research, but also with art. There, amid the untamed life — colorful birds, enormous insects, otherwordly plants — he found beauty in the human form. 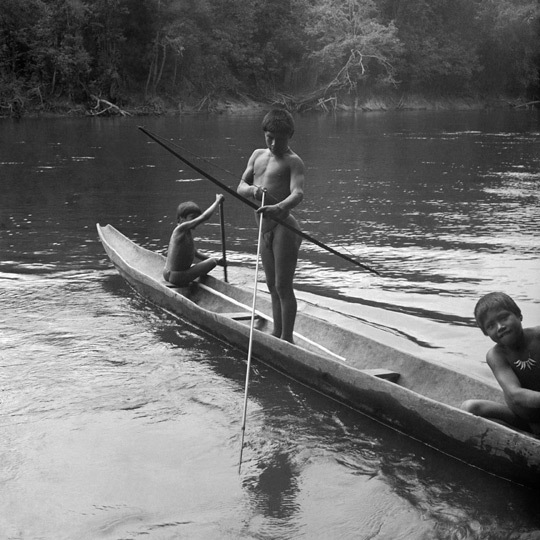 His big, soft-focused photographs, now on display at the Smithsonian Museum of Natural History in Washington, offer hypnotic insights into the expedition that gave birth to the field of ethnobotany. Throughout his 12 years in lands where no naturalist had gone before, Schultes became captivated by the connection between botany and people. 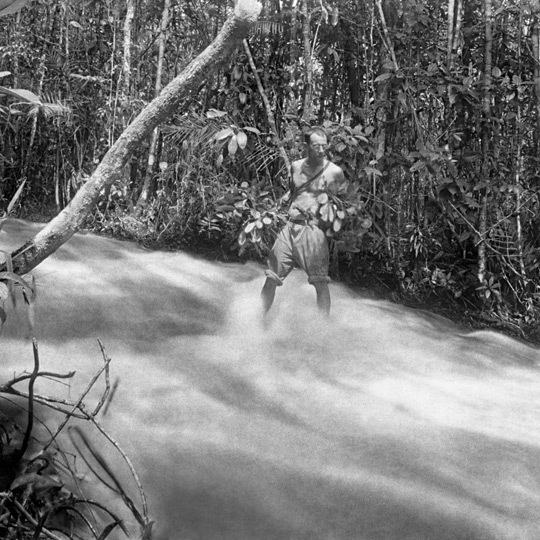 Although the U.S. government initially sent him in search of rubber, he focused his studies on how remote tribal people used flowers and vines for medicinal and hallucinogenic purposes. In his scientific quest, Schultes tried the things that the people around him there tried, says Smithsonian botanist John Kress. Kress, who studied under Schultes after the botanist returned to teaching, helped curate the exhibit. "There's a number of hallucinogenic snuffs that the native people of the Amazon basin and other places take they use various barks and woods and carbonate powers and fruits. And then, much like we'd snuff tobacco, they blow this into each other's noses," Kress says. Schultes took his studies beyond the realm of plant life to the culture that weaved through it. The camera became a tool that helped him document and interpret the people around him. Something about the photos, however, reaches far beyond the boundaries of that time. Exhibit co-curator Chris Murray, who also runs the Govinda Gallery in Washington, says Schultes made photos for scientific purposes. But he also applied the concepts of fine-art photography. "The composition was spectacular. His photographs of peoples were sensitive," Murray says. Even photographer Bruce Weber, known for his provocative ad campaigns for Calvin Klein, would be blown away by how natural and sensual some of these images are, Murray says.